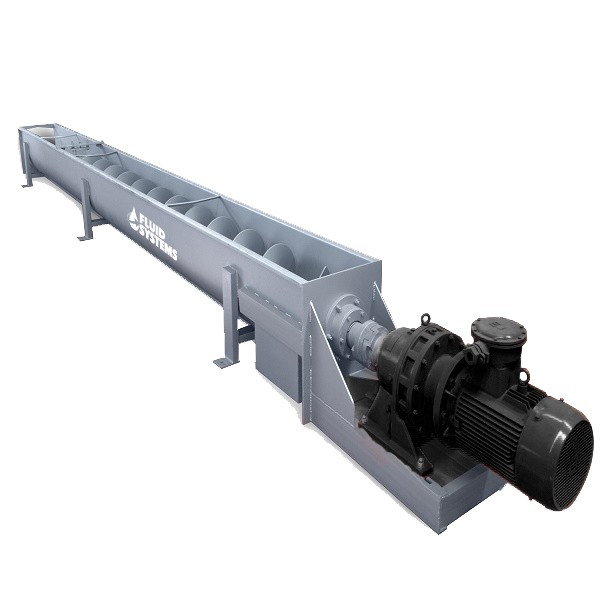 Screw Conveyor – Fluid Systems, Inc.
Each screw conveyor is made up of 6’ or 12’ lengths that can be bolted together and sized to fit your application. On land, the optional “Auger Tank” can be used to contain drilled cuttings and move them on to dump trucks for transport to desired disposal location. We can manufacture screw conveyors out of carbon steel, abrasion resistant steel, stainless steel or other alloys to suit any specific requirements. We can also manufacture numerous inlets and discharges to fit your needs. If your needs are for special screw conveyors, let Fluid Systems’ designing, engineering and manufacturing capabilities go to work for you.